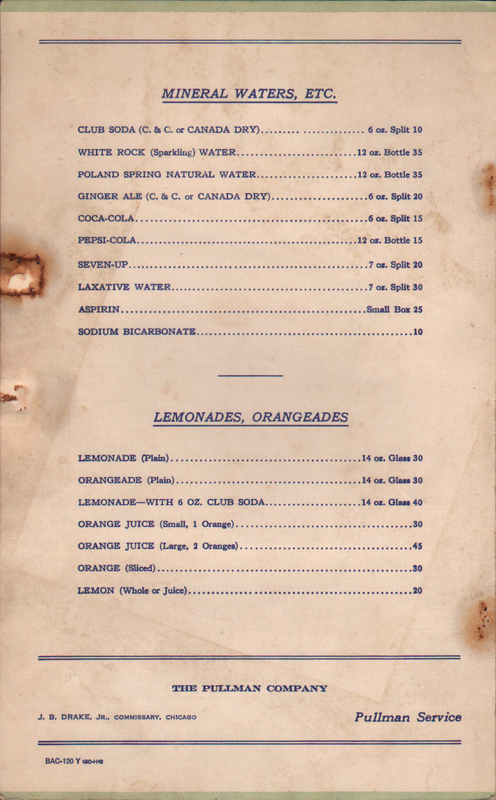 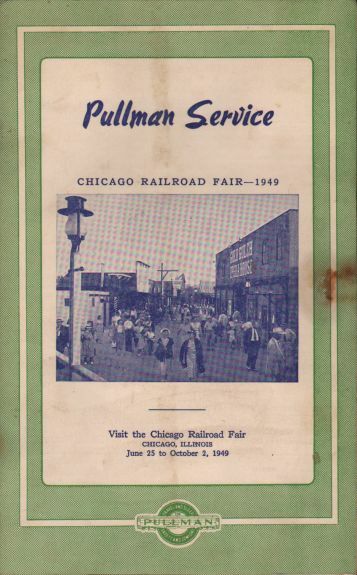 Description A rare Pullman Restaurant/Buffet car menu from 1949. 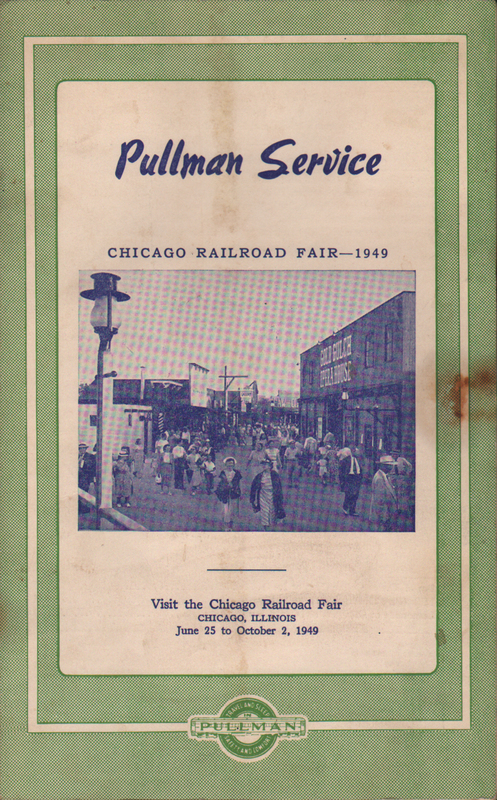 The cover urges the passenger to visit the Chicago Railroad Fair - 1949, in Chicago, Illinois from June 25 to October 2, 1949. 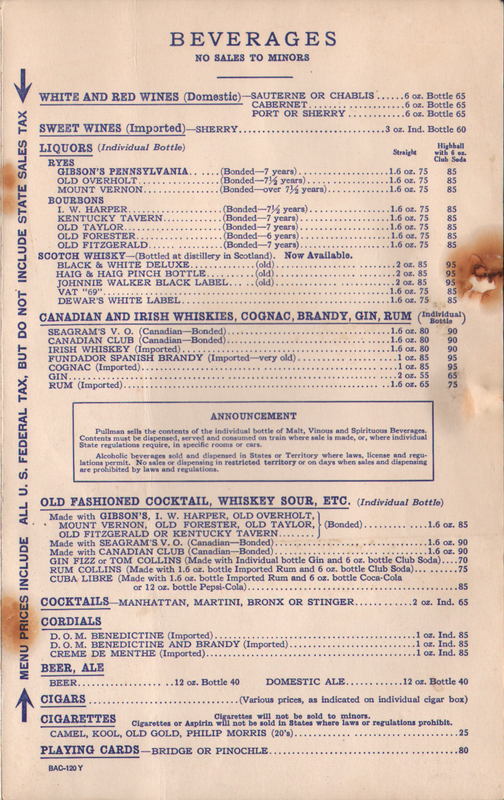 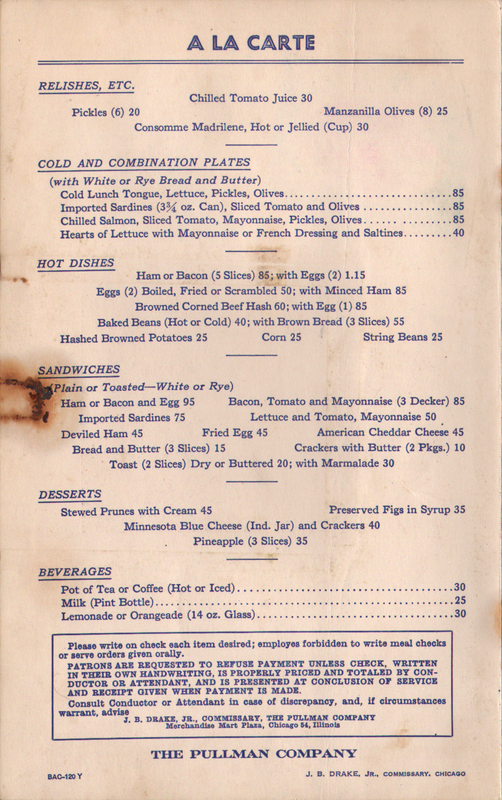 As with most Pullman Restaurant Car menus, there is a special section telling the customer that each item must be written on the check and employees are forbidden to accept verbal orders. 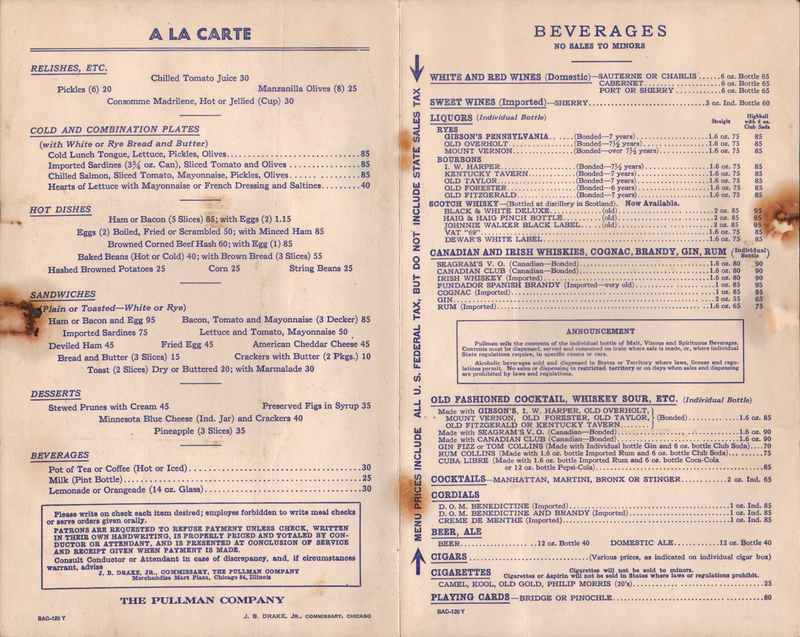 This menu has three (3) inserts for a Special Chicken Salad Bowl, A Special Charcoal Grilled Double Lamb Chop and A Special Charcoal Grilled Club Sirloin Steak Sandwich.